Artist like Pam Asberry inspires me. I always travel a road to inner peace and inspiration with new age music, this time it was different. Pam taught piano for 40 years and never believed she could create her own music. She finally decided to write her first song and one thing led to another and now we have her first album Seashells In My Pocket. That experience is a lesson to us all. A door will not open if you don’t make an attempt to open it. You must do the initial work to walk through it and to get to the other side. I see that the beach and the ocean provided Pam with plentiful material to create her first album. The 13 tracks offered on her maiden voyage, are all about the ocean, its surrounding and solitude and clear thinking it provides those seeking it. It most certainly worked for her in many ways. 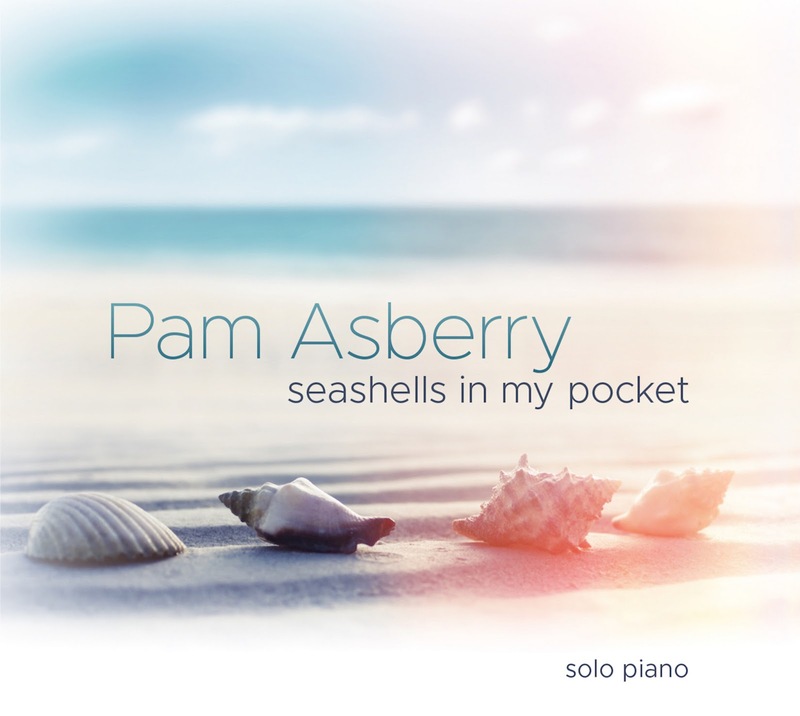 Pam creates some simple and effective melodies throughout this recording. It is simple in regard to it being one instrument which is not a take away from the compositions she presents. A lot of this music is very restful and healing, which is perfect for meditating or just sitting and listening, allowing your mind to empty. There are some tracks that do change the mood and atmospheres as well. For example, “Dunn's River Falls” picks up the pace considerably. It was like listening to a rolling tide hitting the shore via her piano. That is what I envisioned however she had something else in mind which was a river flowing into a fall. I was focused on the piano playing then letting it take me to wherever it wanted. That is what any listener would do I am sure. The absolute beauty and personality of music like this will allow you to create your own movie in your mind then your soul creates a path. Instrumental piano music is singular yet diverse in its purpose. It lets us create something new in each song. It was like Pam handed me a virtual paintbrush and I decided to create my own masterpiece alongside her own. Simplistic, picturesque and personal - that is an encapsulation of Seashells In My Pocket.